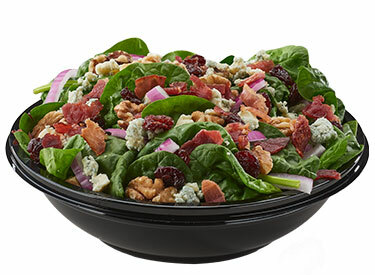 Our Michigan Cherry salads are made from the freshest ingredients. Starting with fresh spinach and fresh cut red onions. Topped with dried cherries, bacon and gorgonzola cheese crumbles, accompanied by your choice of dressing. Add grilled chicken for a small additional fee.